Brushes and More began as a family business selling crafts in Oregon in the 1980s before expanding to trade shows and conferences. Since 2007, Brushes and More has been meeting the needs of painters and crafters in the Magnolia area and worldwide by offering an online catalogue of brushes and paint supplies at the best rates around. From palettes and markers, to erasers and painting knives, Brushes and More has everything needed for the experienced artist or the beginner. Browse our online catalog for paint supplies and brushes. If you can’t find what you’re looking for or have any questions or comments, call 281-259-3730 today. You also can fill out the contact information form on this page and a friendly and helpful representative will respond shortly. All products at Brushes and More are marked at every day prices. If you can find a lower everyday price, excluding sale prices, we will be happy to reimburse the difference to match our competitor’s prices. 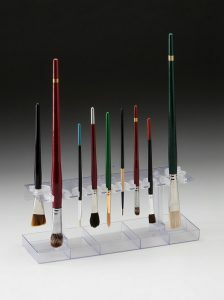 The industry specialists at Brushes and More believe in high quality, exceptional value, and the fun of creating art. We take great pride in offering high quality handcrafted materials backed by a superior customer service team that guarantees our products and our exceptional service. To view all the wide range of paint supplies available at Brushes and More, browse our comprehensive online catalogue now. Call 281-259-3730 with any questions or comments, or fill out the contact information form located on this page and a qualified associate will respond to your inquiry. Visit our Q&A page to find answers to some of our most asked questions. We have painting demos using several of our popular products available for viewing. We'd love to hear from you. Visit our contact page to submit your thoughts or questions. Brushes and More has sold quality artists brushes and supplies for over 35 years. We offer the highest quality brushes and supplies at the lowest price and exceptional value.